The Kenerick Reserve is located at the eastern end of Kenerick Bay, adjacent to a large coastal wetland that runs along the majority of the mainland shore. Although the island is relatively small at just over an acre, it includes over 50 different plant species. The immediate vicinity is home to regular pairs of sandhill cranes that return to the area annually and have increased from one pair to two pairs this past year. 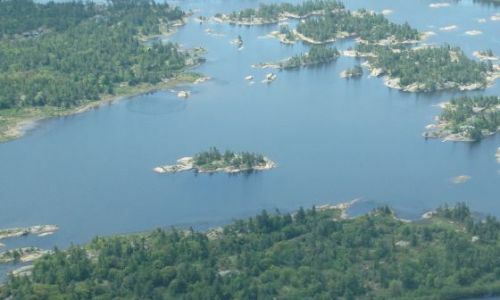 Kenerick Bay is home to a variety of wildlife including species at risk such as snapping turtle, least bittern, massasauga rattlesnake, eastern foxsnake, five-lined skink, hog-nosed snake, bald eagle, and whip-poor-will. The fish community is extensive including smallmouth bass, walleye, northern pike, garpike, rock bass, sunfish and perch and is a popular feeding site for common and Caspian terns.